Unsurpassable Construction Ltd. is a Heavy Equipment Construction company founded and owned by Mike Kohut. Mike’s experience and familiarity with the construction industry has allowed Unsurpassable Construction Ltd. to grow substantially since its inception. The company, along with its gravel pit is centrally located in Mountain View County near Didsbury, Alberta, and has been in operations for over nine (9) years. 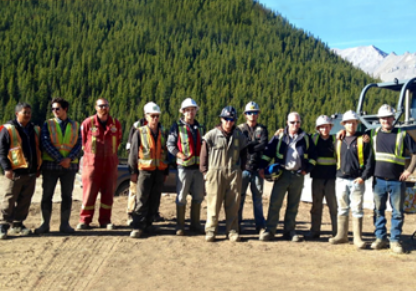 Currently, UCL operates throughout Alberta and Saskatchewan with extensive experience as a diversified excavation contractor, with expertise in civil construction, and the oil and gas sector. 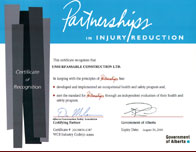 Unsurpassable Construction Ltd. also has an effective Health & Safety Program and is proud to maintain a current COR. Unsurpassable Construction Ltd. believes in continually striving towards excellence by being superior to the competition in all areas. We take pride in providing skilled and knowledgeable personnel, integrity, innovation, quality equipment and onsite safety practices. ensure key personnel work with each customer’s representatives or consultants to promote the most efficient and safest work practices. We make it our main priority to bring a positive outcome for each and every client by meeting or exceeding expectations EVERY TIME!